The new 2018 Vango AirBeam Awning range has been increased to six drive-away awnings with an additional two left hand drive options – all available in the Low (180cm to 210cm) connection height which is ideal for a VW Transporter. The AirHub HexAway and Galli II Compact are new designs and the Idris II, Kela IV, Cruz II and Galli II AirAway’s all have lots of new features. 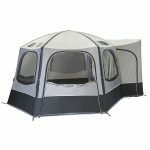 The AirHub HexaAway is an innovative hexagonal gazebo type awning based on Vango’s AirHub Hex shelter from last season. The HexAway makes a great communal living area with two large external doors and ‘fold flat’ door entrances. 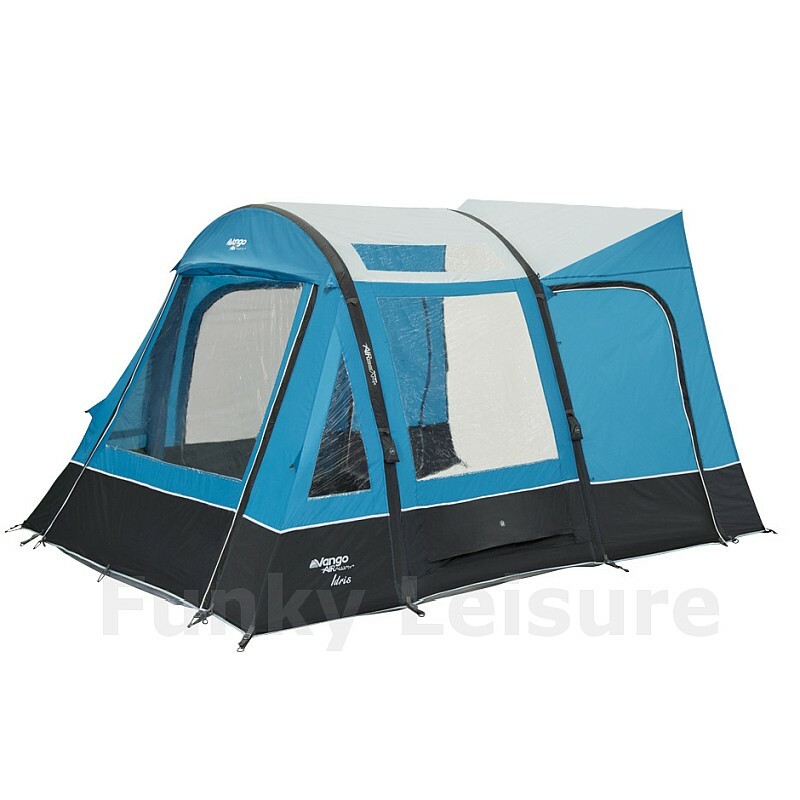 The Galli II Compact has all the features of its big brother and can still accommodate two double bedrooms yet the reduced length makes it lighter with a small pack size. 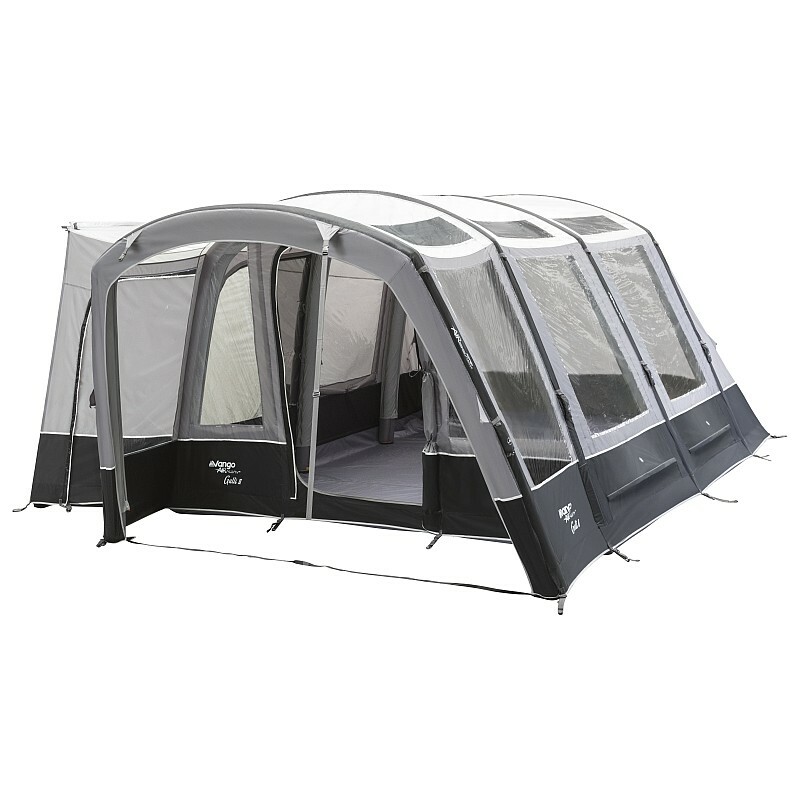 The Compact offers a ‘Kela sized’ awning with the shaped beams parallel pitching and integrated porch features of the Galli design – ideal for couples and smaller families. The Galli II Compact is also available in right sided vehicle (RSV) version for vans with right hand side doors. The 2018 Idris II and Kela IV along with all other 2018 models now have SkyLight windows in the roof for extra light and Vango’s SkyTrack II system. 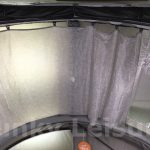 SkyTrack II can be used for the new SkyLiner ceiling curtain to block out light and cut down on condensation by forming a thermal barrier at roof level. 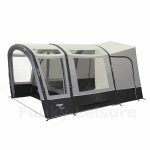 SkyTrack II can also be used for hanging the various sized storage organisers which range from a single basket up to a 10 pocket storage unit to help keep the awning tidy. All curtains including the new SkyLiners now have a light grey ‘nature’ inspired pattern that match the carpets. High visibility orange guylines with reflective weave are standard across the range to help avoid trips and extra retainer tabs have been added to entrance doors. The font entrance panel of the Cruz II can be unzipped halfway, fully opened or removed completely and replaced with a mesh panel (optional extra), great for hot weather. 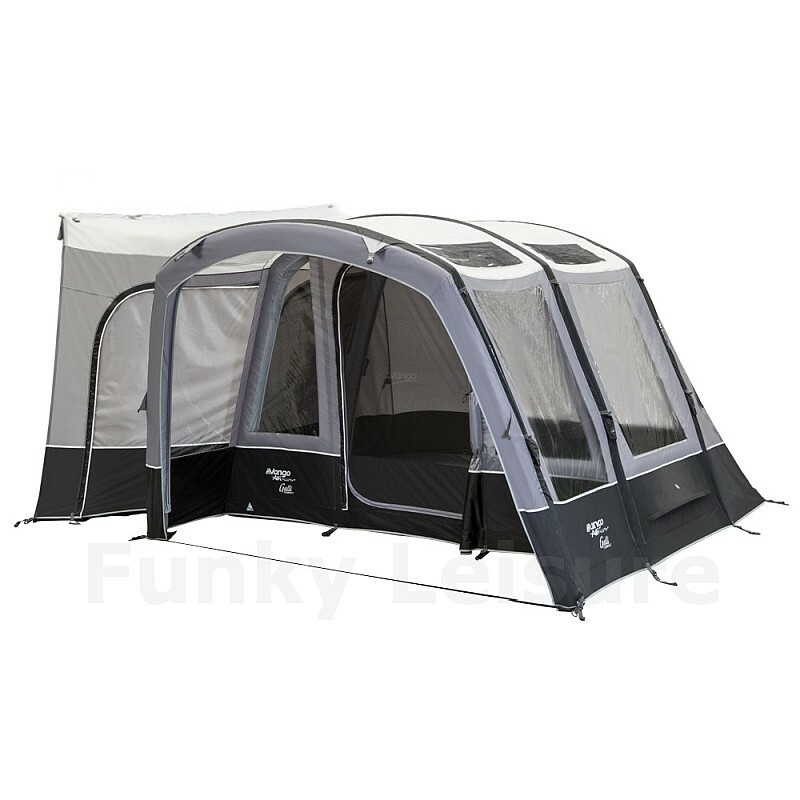 When the front panel is fully unzipped the ground sheet of the entrance folds flat allowing easy access. 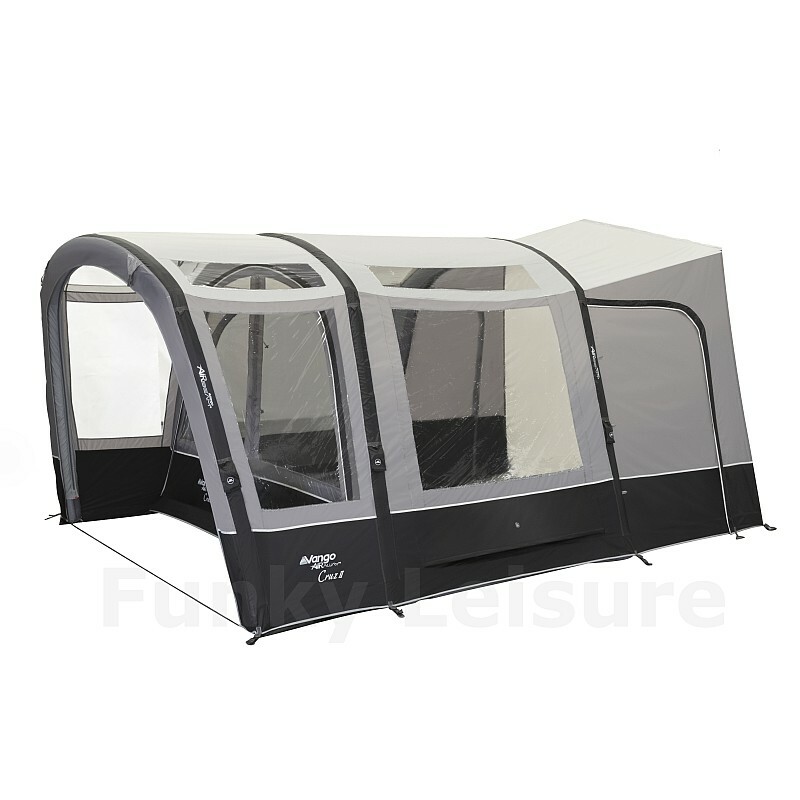 The Galli II and Galli II Compact also have a ‘fold flat’ door entrance between the awning and awning connection tunnel for easy access of pushchairs, wheelchairs and people with limited mobility. The Galli II has a window between the awning and connection tunnel along with a rear connection tunnel door for easy access to a vehicles tailgate. All 2018 awnings have SkyLight windows in each roof section and the Galli II has an additional window between the connection tunnel and the main living area. As last season the Gall II is also offered in an RSV version for right sided sliding doors. 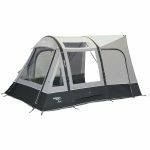 Having expanded their range to 8 awnings (including RSV’s) for 2018, Vango have used their extensive experience to bring even more options along with some great new innovations to the drive-away awning market. Check our shop listings for full specifications or call into our Twickenham showroom in SW London to see a Kela IV, Cruz II, Galli II and Galli II Compact on display. Check out the online savings on our awning bundle kit deals or enter code BUS10 for 10% discount on individual items. The Galli ‘Tall’ just refers to the connection tunnel height of the awning so all the new features listed above are the same for the Low, Tall and RSV versions of the Galli II.